With dozens of colors and patterns to choose from, you're sure to find something that fits in seamlessly with the look of your home. 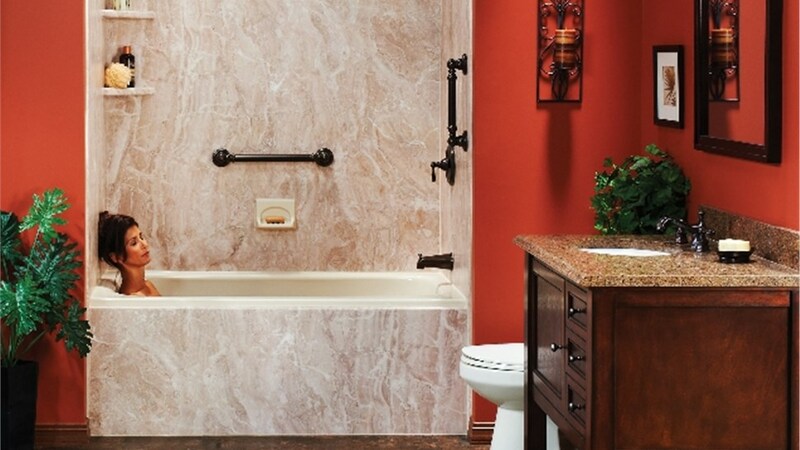 Your bathroom remodel isn’t complete without acrylic tub surround panels from Get A Pro! 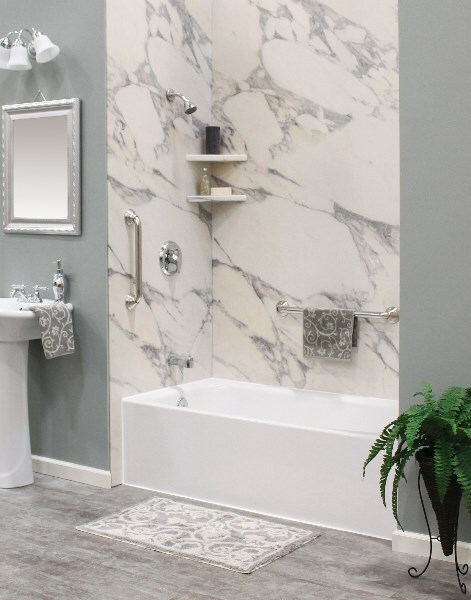 Our bathtub wall panels transform your space for a clean, new feel that you’ll enjoy for years to come. Each and every one of our tub surround panels is specially created to fit over the existing wall surround in your bathroom. From top to bottom, we can completely transform your space with your choice of high-quality products. 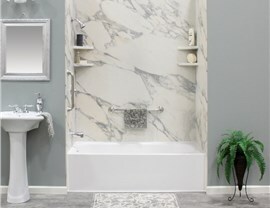 Perhaps one of the most impressive features of the bathtub walls from Get A Pro is the fact that they can be installed in as little as one day! That means there’s no need to go without a bathroom for days or weeks on end. 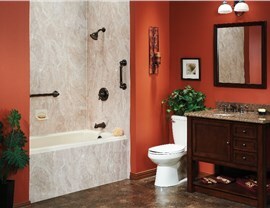 We can completely alter the look and feel of your bathroom space quicker than you ever could have imagined. 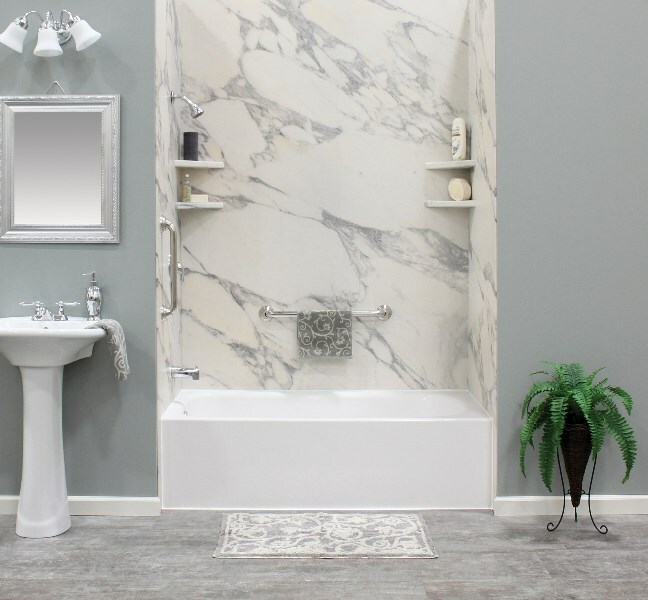 Just because we can install a new bathtub or tub surround in as little as a day doesn’t mean we compromise on quality and style. 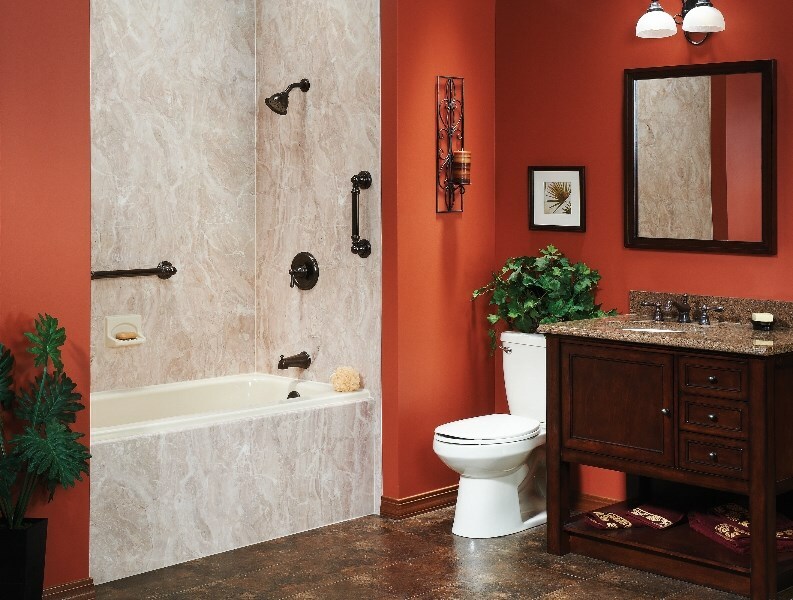 We have countless combinations of colors, styles, and patterns, as well as bathroom accessories, that will make your space all your own. 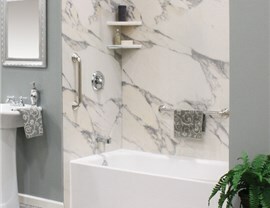 When you’re ready to remodel your bathroom, put your trust in experts with over 100 years of combined experience. Contact us today for a FREE, no-obligation in-home estimate and we’ll show how dramatic a Get A Pro transformation can be!